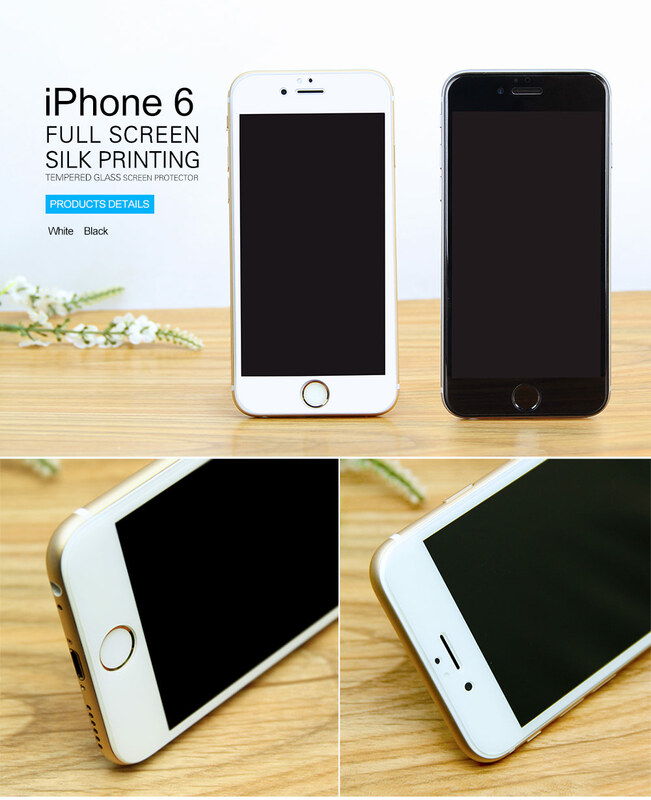 9H color tempered glass screen guard for iPhone 6. 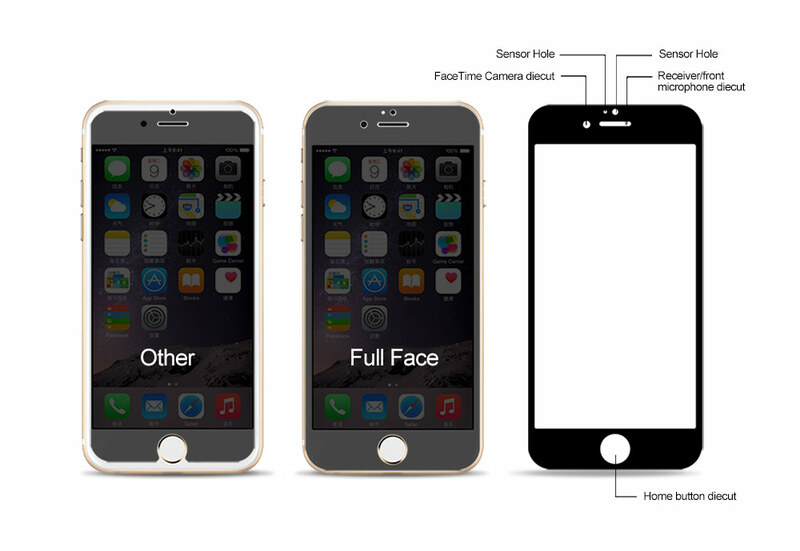 Due to the round edge (curved screen) of iPhone 6 & 6 plus, this series is designed to completely cover the full curved screen. 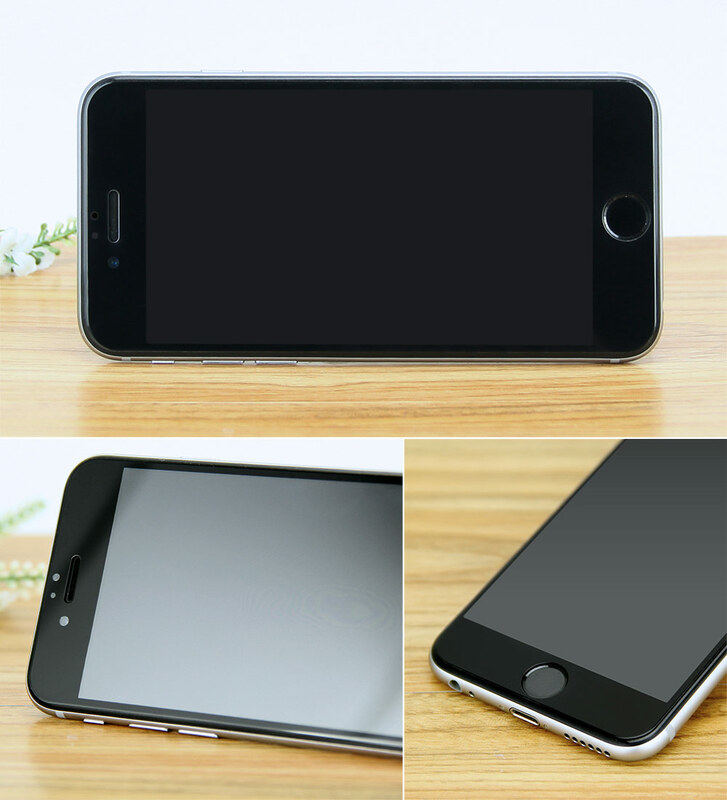 It protects the LCD from damage and scratches with specially processed transparent glass that has been reinforced for scratch resistance.